Moving right along....new week means new WIP! 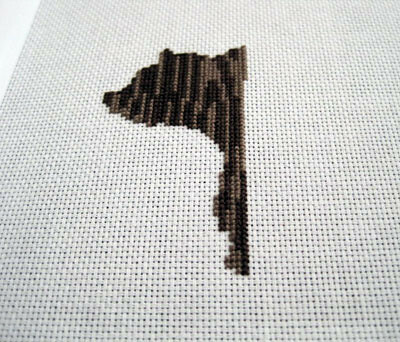 I'm currently stitching up a woodgrain patterned bear. The pattern is from flamgirlant, who just opened her Etsy store and I was lucky enough to be her first customer. The woodgrain bear is one of my all time favorite stitches, so I just had to have the pattern for myself. I've also got my eye on the houndstooth jackalope pattern.